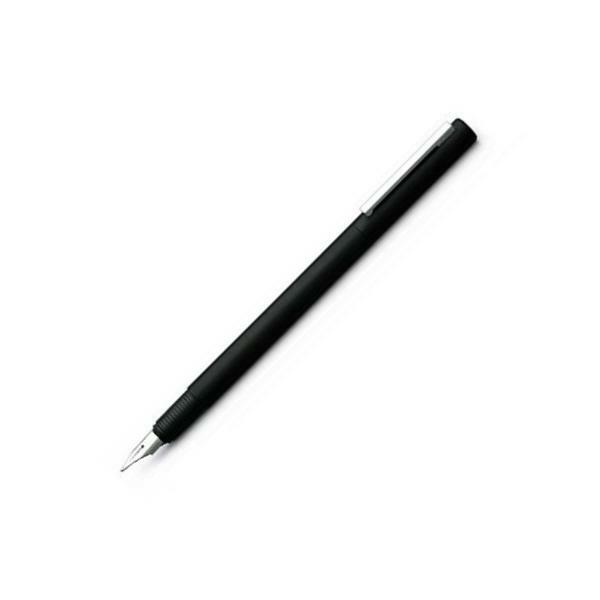 The classic Lamy design: a lightweight slimline pen with sprung clip. Lightweight brass body with tough black paint finish. Perfect for those who either prefer their pens with less girth or who need a fountain pen to fit in the pen loop of a Filofax. 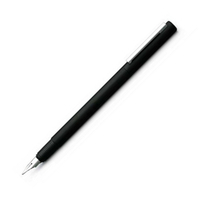 Uses Lamy T10 cartridges or Z27 converter (supplied). Available with either EF, F, M, left-handed medium (LH), B, 1.1mm/1.5mm/1.9mm italic nib sizes (nib type Z50).